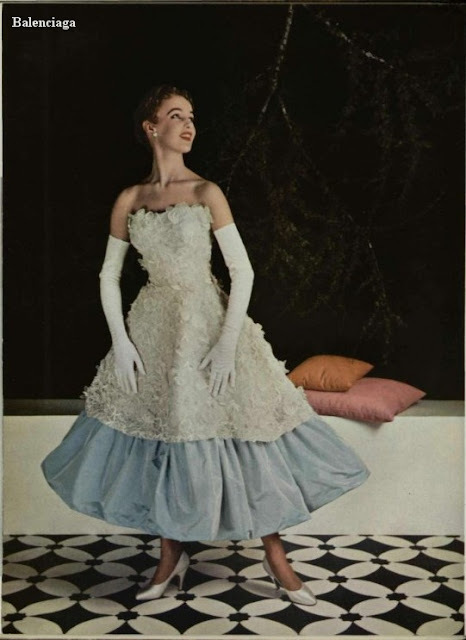 This beautiful dress was inspired by a 1955 Balenciaga design. I couldn't find lace like the original dress in doll scale, so I used a dotted lace. I added a matching cummerbund for another look. I loved this design so much that I made quite a few different color versions. I also used several different kinds of lace trim. I made two different versions of the skirt.